**Now Available** KnuKonceptz heat shrink tubing not only dresses up your installation, it also creates a moisture barrier. Our adhesive lined heat shrink tubing has a layer of heat activated glue that seals and insulates your connectors! 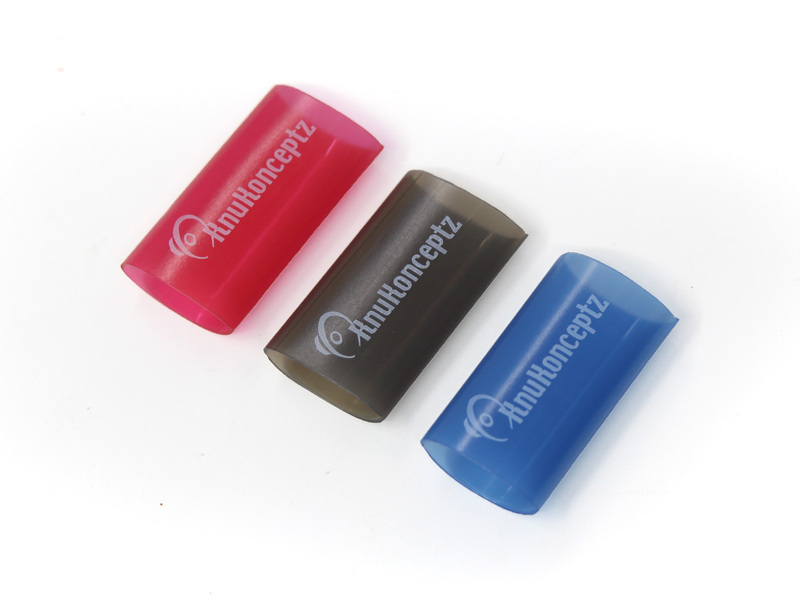 Three translucent colors (black/blue/red) are available in 3/4 and 1" diameters, while 1.5" heat shrink is only available in solid black. The KnuKonceptz set screw gauge reducer has become so popular, we've added a second model that uses our Kompression fittings for our die hard audio fanatics that want the best connection possible! The KGR04 is a 1/0 gauge to 4 gauge reducer that uses our 1/0 compresssion fitting. It could easily be converted to a 4 gauge to 4 gauge adapter. 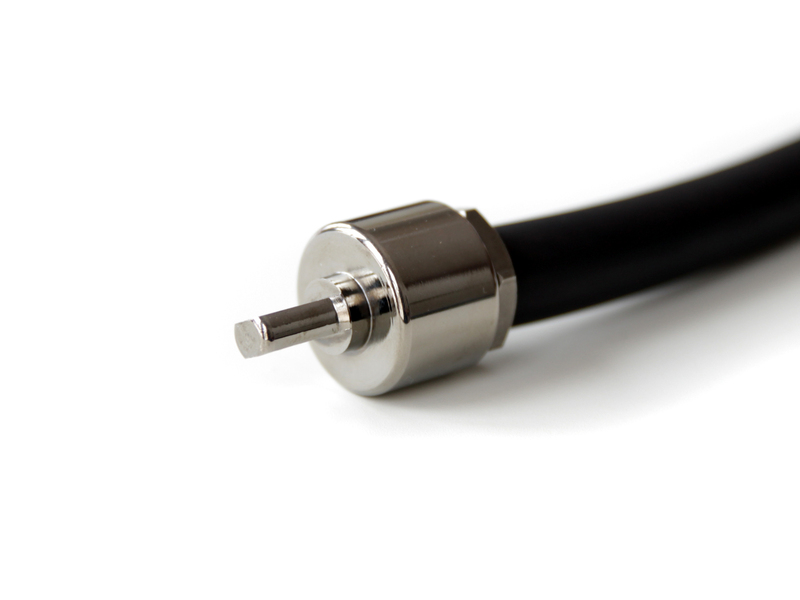 When coupled with our 1" adhesive lined heat shrink tubing, the KGR04 becomes a completely sealed, waterproof connector. What is better than one run of 1/0? Well 2 of course! 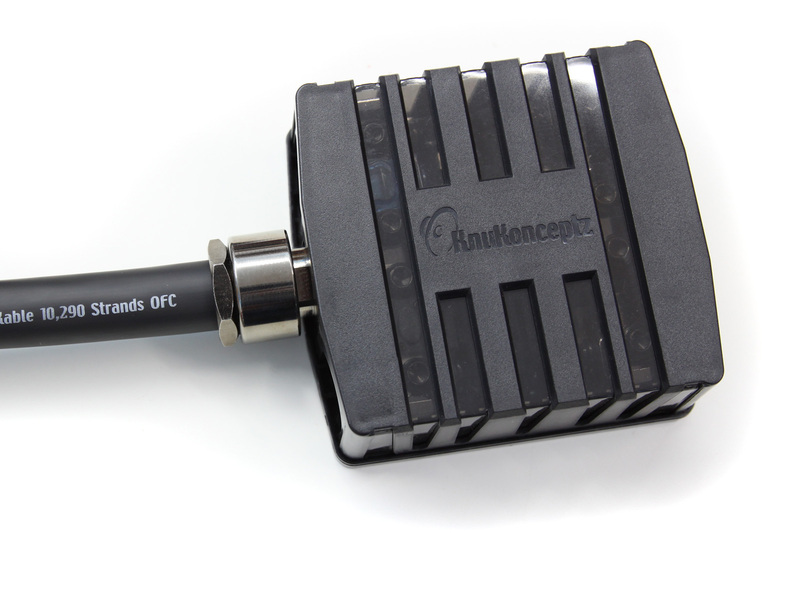 The KnuKonceptz KDI210 dual 1/0 input adapter mounts vertically and uses an offset pin design, meaning the same model can be mounted to you positive or negative amplifier input. 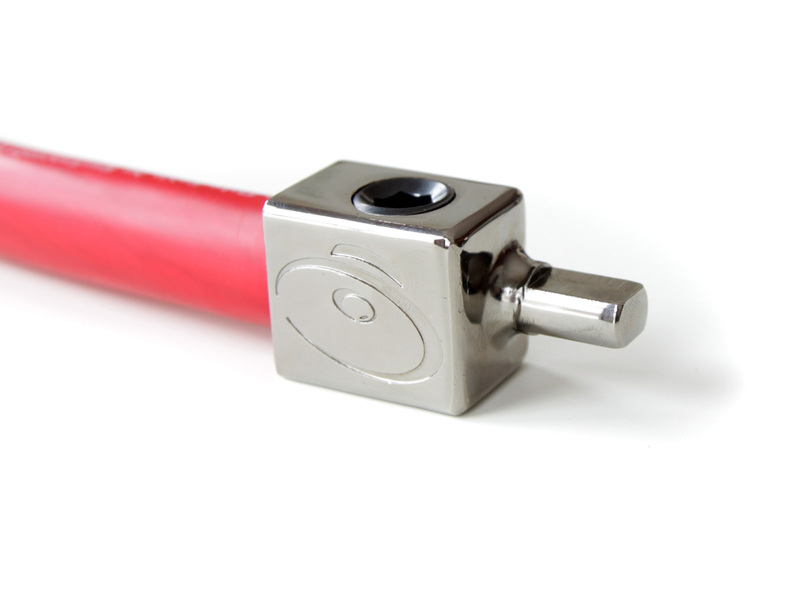 KnuKonceptz recommends adding our 1.5 " heat shrink when installing the KDI210 in tight spaces. Maybe dual inputs are not really your style but your amps really need a lot of current. KnuKonceptz has your solution. The SSGR0000, a 4/0 to 1/0 gauge reducer, simplifies the installation of our Kolossus 4/0 into your system. A HUGE set screw clamps down on the 10,290 strands of copper, delivering all the current your audio system could dream! 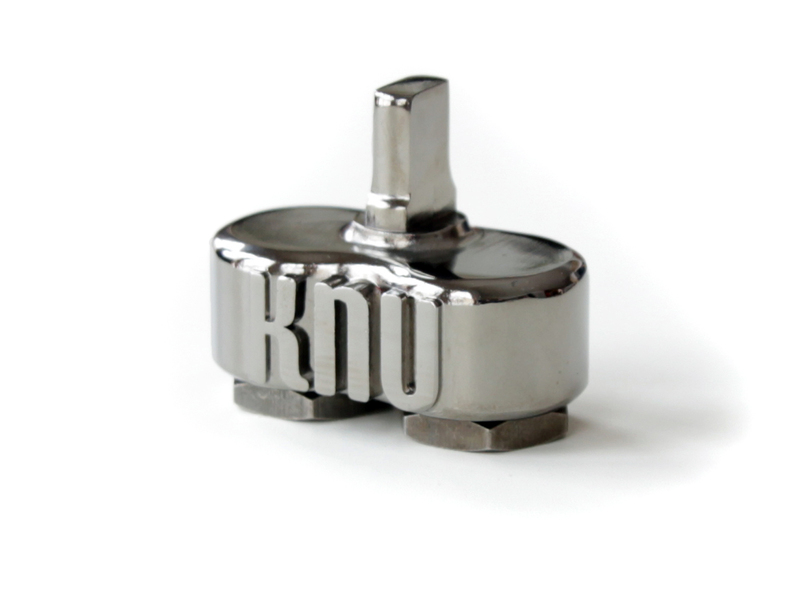 When KnuKonceptz released the KNF-60 distribution block, we quickly realized the potential of this amazing block. The KNFCA-40 Compression Adapter unlocks another installation configuration for the KNF-60. Using our Kolossus 4/0 with the KNF-60, a true 4/0 to four 1/0 distribution block becomes reality . The KNFCA-40 includes all hardware and heat shrink to make a seamless installation of the Kolossus 4/0 into a KNF-60 fuse distribution block.